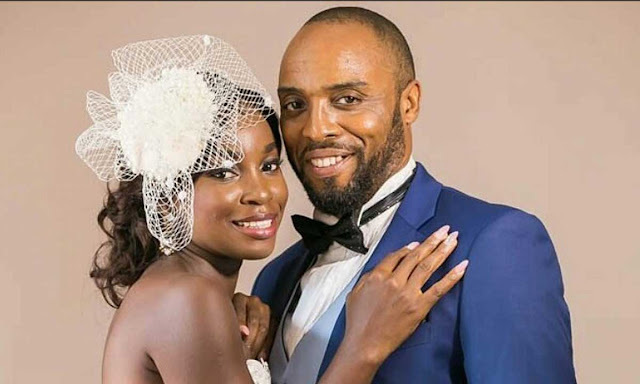 Nollywood actor, Kalu Ikeagwu, still relishes his lead role in The Kinsman, a new movie in which he starred alongside Ebele Okaro, Lota Chukwu, and Yaw Onu. In the movie, he plays the part of the character, Mr. B, the rich widower who suddenly finds himself entangled in a web of romance spun by his secretary (Bridget Chigbue) and Nneoma (Ebele Okaro). Written and directed by Doris Ariole, and produced by Jeni Stuffman, The Kinsman is a faith-based romantic comedy, which tells the story of Nneoma who decides to return to Nigeria from Cotonou in neighboring Benin Republic after losing her husband and two sons. Nneoma’s daughter-in-law and late son’s widow, Nadia (Lota Chukwu) insists on going with her. In appreciation of Nadia’s loyalty, she decides to find a husband, a good and responsible man, for the young woman. Determined to accomplish this self-imposed task, Nneoma embarks on a search that takes her and her dutiful daughter-in-law through a series of twists, turns, intrigue, and drama. Although the writer’s original plan for the movie, clearly inspired by the story of Ruth in the Bible, was to send a powerful message across to the audience, she ends up with a package that is twice as entertaining as it is educating. Ikeagwu delivers his role perfectly, unbelievably inhabiting it in such a way that suggests the script may have been deliberately woven around an event in his past. On his role as Mr B, the actor could not help but confess that the movie mirrored exactly how he met his wife in real life. He said, “Before I met my wife, I had been in a situation where I was quite concerned about what she looked like, what her status was like, whether she was hot enough or beautiful enough and so on. But when I was eventually ready to meet her, after I had gone through what I had to go through, I came to understand that it didn’t matter what she looked like, where she came from, whether she was light or dark-skinned, slim or fat. “All I wanted was someone who loved God more than she loved me. I wanted a companion. But it took me a long time to make up my mind to get married because I was afraid of losing my freedom. But when I understood that life is all about companionship I knew what to look out for.